Categories: Flugar, Fulgurite, Lightning In A Box, Out Of This World. 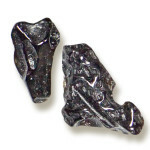 Fulgurites (from the Latin fulgur meaning thunderbolt) are a variety of the mineraloid lechatelierite. They are natural hollow glass tubes formed inquartzose sand, silica, or soil by lightning strikes. 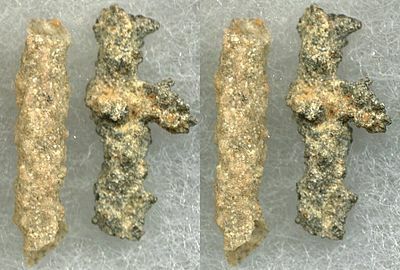 They are formed when lightning with a temperature of at least 1,800 °C (3,270 °F)instantaneously melts silica on a conductive surface and fuses grains together; the fulgurite tube is the cooled product. This process occurs over a period of around one second, and leaves evidence of the lightning path and its dispersion over the surface. 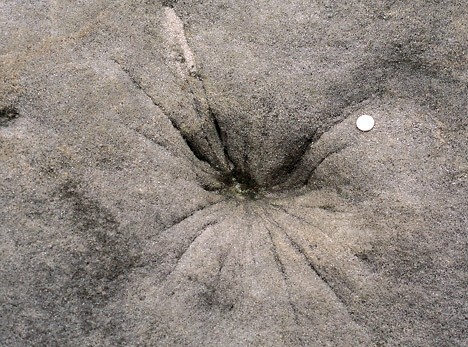 They are sometimes referred to as petrified lightning. 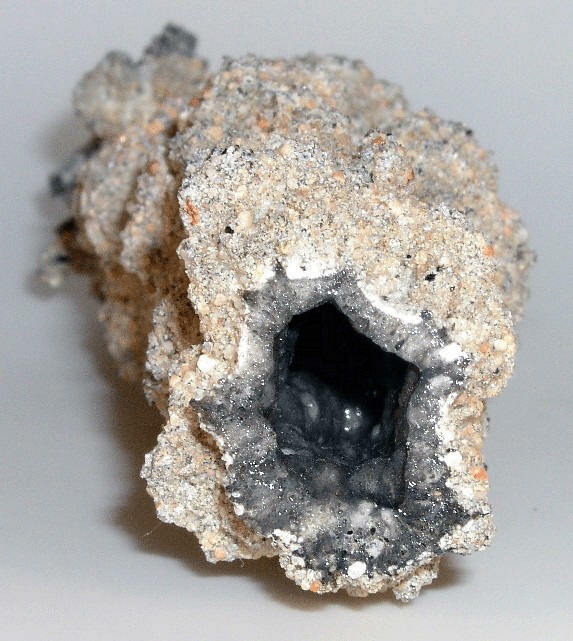 Fulgurites can also be produced when a high voltage electrical distribution network breaks and the lines fall onto a conductive surface with sand beneath. 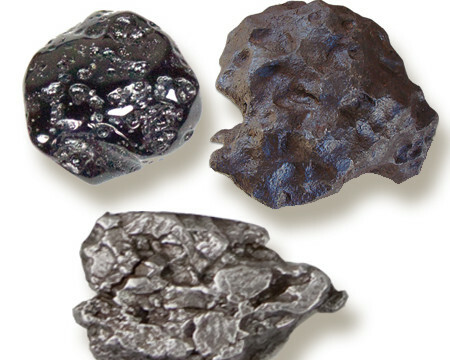 The glass formed is called lechatelierite which may also be formed by meteorite impact and volcanic explosions. Because it isamorphous, fulgurite is classified as a mineraloid. 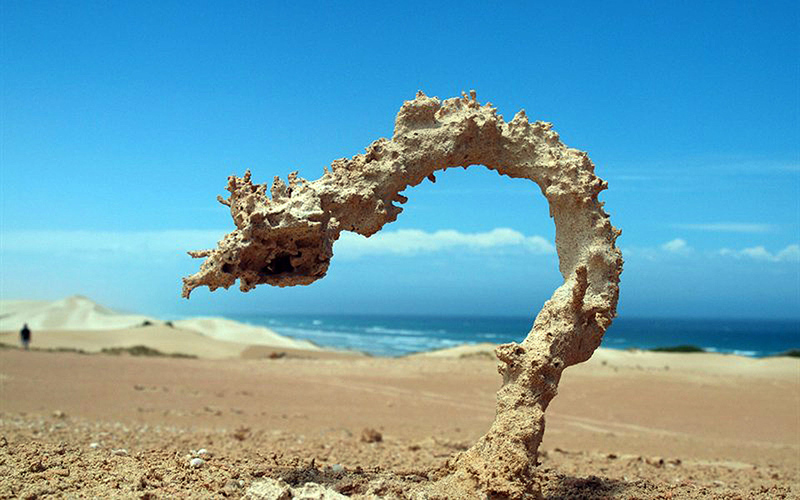 Fulgurites can have deep penetrations, sometimes occurring as far as 15 metres (49 ft) below the surface that was struck. The tubes can be up to several centimeters in diameter, and meters long. 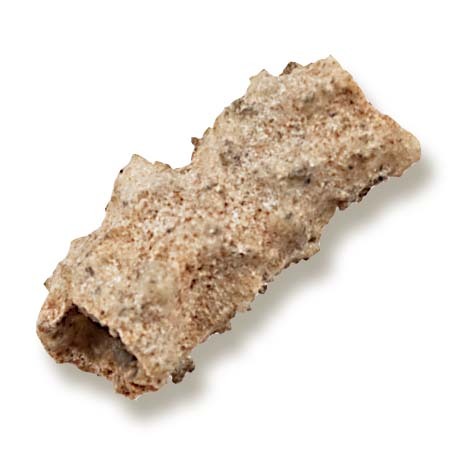 The longest fulgurite to have been found is a little over 4.9 m (16 ft) in length, and was found in northern Florida, USA. Their color varies depending on the composition of the sand they formed in, ranging from black or tan to green or a translucent white. The interior is normally very smooth or lined with fine bubbles; the exterior is generally coated with rough sand particles and is porous. They are rootlike in appearance and often show branching or small holes. Fulgurites occasionally form as glazing on solid rocks (sometimes referred to as an exogenic fulgurite). The fact that fulgurites are so abundant in the Saharan Desert shows that lightning was once a frequent occurrence in that region.